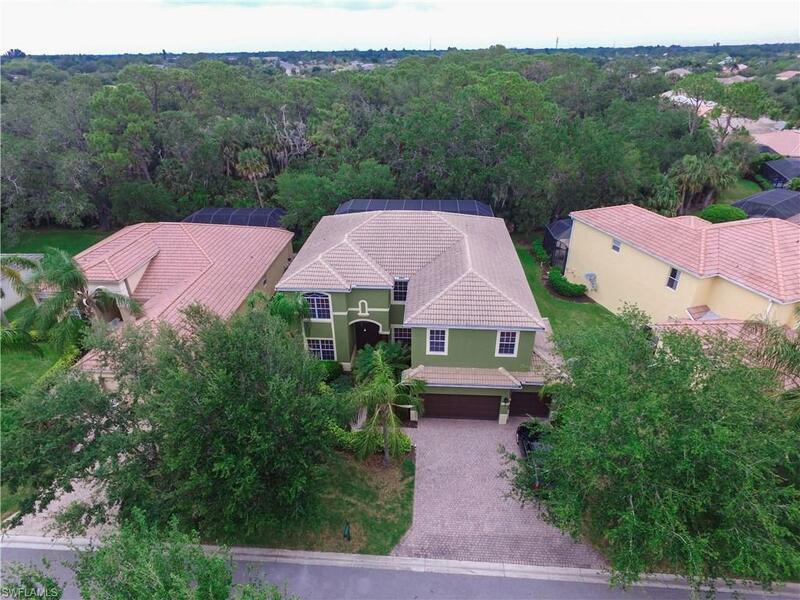 Come see this beautiful move-in ready estate home in the gated community of Moody River. This is one of the largest homes available and the spacious open floor plan features 5 bedrooms, 4 baths plus a huge bonus room and a private office. There is even a wonderful lanai with a large outdoor patio and heated pool. It is perfect for entertaining and the two story pool cage is complete with super screen which is a must in Florida! This home backs up to the preserve so you can take advantage of the privacy, peace and quiet. The designer touches throughout include beautiful tile flooring, crown molding, plantation shutters, wood cabinets, solid surface counters, and wrought iron railings. There is even a guest bedroom and full bathroom downstairs perfect for your out of town guests. The upstairs master suite features its own private balcony with incredible views of the preserve and an ensuite to die for. Moody River provides 24 hour guarded access and offers many amenities including playground, clubhouse, resort style pool, tree lined biking/jogging trail, basketball, tennis, and boat launch. This community is just minutes to downtown Fort Myers over the beautiful Caloosahatchee river.